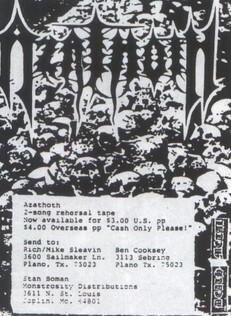 Death metal band Azathoth formed around 1990. The bands Absu and Azathoth were friends and during a brief time, Absu was called Azathoth but when they changed their name to Absu they gave the name Azathoth to them. 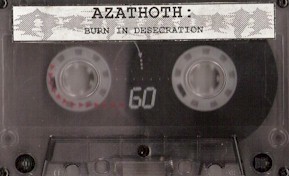 Azathoth released three demos.